Monsieur Crane présente 11 pièces d’un puzzle embrumé. Instantanés de vies dispersées. Condensé d’amertume qui plombe autant qu’il libère. 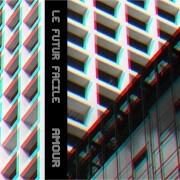 Another band from the East of France, hailing from Reims, LE FUTUR Facile are a duo who play, as they define it, a ‘Dark Wave sombre et vague’, twisted and dissonant in the same vain of some bands around Teenage Menopause and Le Turc Mecanique labels. 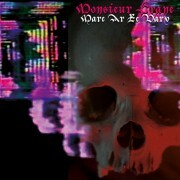 Using a minimal instrumentation based on drum machine, bass, guitar and a large use of synths, their intense and anxious, but also obsessive and paranoic sound is built with a dizzying array of hypnotic droning icy synths on one side and sleazy electro-post punk on the other, the sore, emaciated vocals further emphasizes a disturbing sense of loneliness, boredom, emptyness and desolation, slightly tempered by ironical lyrics. 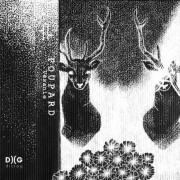 The tense and mesmerizing, synth driven title track, “Amour”, where instead the word ‘violence’ is repeated multiple times, as well as being one of the most addictive, was also the most suited to receive the remix treatment by the fellow French electronic producer from Reims, GrAnD bOrDeL. 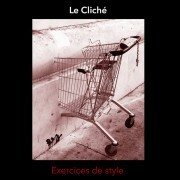 “Exercices de style” est une sélection de chansons du projet Le Cliché. Certaines chansons sont tirées de précédentes sorties, d’autres sont inédites. Toutes sont chantées en français, langue que l’Irlandais Gérard Ryan, a voulu mettre ici à l’honneur. 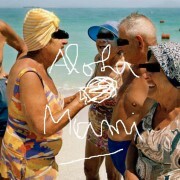 The album “Rince cochon” distributes a set of postal cards that stings like as many punch in the face. Come on… come and get your punishment!